At a local LAN event, [Thomas] wanted a way to easily show off the capabilities from some of the Internet-of-Things devices everyone keeps talking about. His idea was to build an internet-connected foosball/table soccer/table football table to show off some hardware and software. [Thomas]’s table automates almost everything that is part of the great sport of foosball. Once a user logs in using the barcode scanner, the game begins by deploying the tiny ball with parts salvaged from a Roomba. The table uses infrared sensors to detect the ball. Once a goal is scored, it is posted online where anyone can see the current score and a history of all of the games played on the table. There are a few other unique touches on the foosball table, such as the LED lighting, touch screen displays, and an STM32-E407 ARM processor to tie the whole machine together. For more information including the source code and demonstrations, check out [Thomas]’s project blog. And, if you get lonely, perhaps you can try the robot foosball player! This tutorial from Adafruit shows how to create a custom interactive drum set that lights up with sound. It uses a mic amp sensor that is connected to a miniature Arduino Gemma board to detect when the instrument is being hit by the sticks. Neopixels then illuminate into a range of colors creating a beautifully synced up music presentation. The container that houses the electronics is 3D printed. The entire circuit is integrated into the snare, mid-tom, hi-tom and a drum kick. All the code and step-by-step instructions can be found on Adafruit’s website. Now imagine something like this being packed up in a suitcase and carried from venue to venue as an up-and-coming band travels from state to state on tour; especially at Drum n’ Bass raves or electronic based music festivals. A video of the kit being used is below. Every so often we run across something in the Hackaday tip line that sends us scurrying to Google, trying to source a component, part, or assembly. The ESP8266 WiFi module is the latest, made interesting because it pretty much doesn’t exist outside China. Why is it cool? It’s a WiFi module with an SOC, making it somewhat similar to TI’s CC300 in conception (A.K.A. the thing that makes the Spark Core so appealing), in that a microcontroller on the module takes care of all the WiFi, TCP/IP stack, and the overhead found in an 802.11 network. 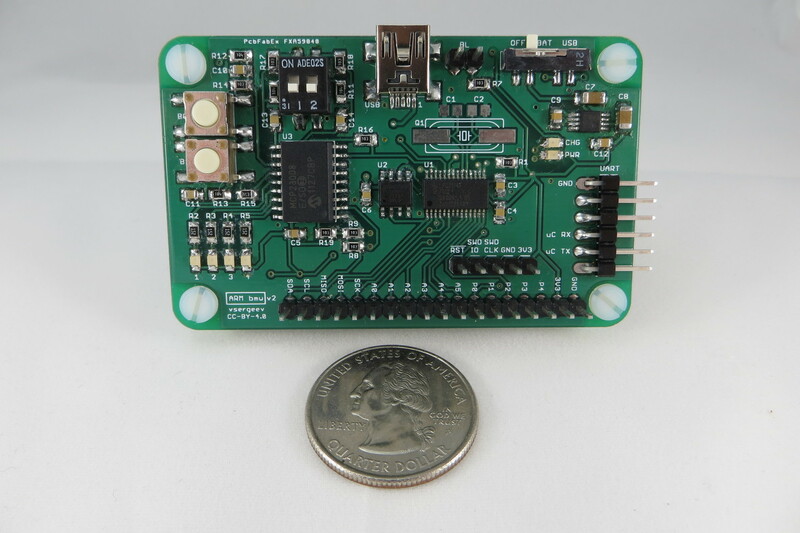 It’s addressable over SPI and UART, making this an exceptionally easy choice for anyone wanting to build an Internet of Things thing; you can simply connect any microcontroller to this module and start pushing data up to the Internet. Oh, it’s also being sold for $5 in quantity one. Yes, for five dollars you can blink a LED from the Internet. That’s about half the price as the CC3000 itself, and a quarter of the price if you were to build a CC3000 breakout board. There’s a catch, right, there’s always a catch. Yep. About two hours after this post is published it will be the number one English language Google result for “ESP8266.” As far as the English-speaking world is concerned, there is absolutely nothing to be found anywhere on the Internet on this module. Seeed Studio recently sold a few of these modules for $7 and has some documentation, including a full datasheet and an AT command set. All the documentation is in Chinese. There’s also an “ESP8266 IoT SDK”, but from a quick glance at the code, this appears to be an SDK for the SOC on the module, not a simple way to connect the module to a microcontroller. Anyone wanting to grab one of these modules can do so on Ali Express. Anyone wanting to do something with one of these modules will have a much more difficult time, most likely poking and prodding bits randomly with the help of Google translate. Should someone, or even a group of people, want to take up the task of creating a translation of the datasheet and possibly a library, we have a pretty collaborative project hosting site where you can do that. You may organize in the comments below; we’ll also be taking bets as to when a product using the ESP8266 will be found on Kickstarter. My guess is under a month. EDIT: Here’s a translation of the datasheet and AT command set. Edit two: [bafeigum] is writing a library go help him out. Thanks [Liam] for the tip. [Vsergeev] tipped us about a neat Cortex-M0 based development board with a total BoM cost under $15. It’s called the ARM Bare Metal Widget (ARM-BMW), focuses on battery power, non-volatile storage and debuggability. The chosen micro-controller is the 50MHz NXP LPC1114DH28 which provides the user with 32kB of Flash, 8kB of SRAM, a 6 channel ADC and I2C/SPI/UART interfaces among others. The ARM-BMW contains a 2Mbyte SPI flash, an I2C I/O expander, several headers for expansion/debug purposes, 4 LEDs, 2 buttons, 2 DIP switches and finally a JTAG/SWD header for flashing and debugging. As you can see in the picture above you may either populate your own HC49UP crystal or use the internal 12MHz RC oscillator. The platform can be powered using either a USB cable or a LiPo battery. As you can guess it also includes a much-needed battery charger (the MCP73831T) and a switched capacitor DC/DC converter to supply 3.3V. You may find all the files on the hardware or software repositories. Chances are, you take color for granted. Whether or not you give it much thought, color is key to distinguishing your surroundings. It helps you identify fire, brown recluse spiders, and the right resistor for the job. In the spotlight this week is a 1950s educational film called “This is Color“. It also happens to be a delightful time capsule of consumer packaging from the atomic age. This film was made by the Interchemical Corporation, an industrial research lab and manufacturer of printing inks. As the narrator explains, consistent replication of pigments is an essential part of mass production. In order to conjure a particular pigment in the first place, one must first understand the nature of color and the physical properties of visible light. Each color that makes up the spectrum of visible rays has a particular wavelength. The five principal colors—red, yellow, green, blue, and violet—make possible thousands of shades and hues, but are only a small slice of the electromagnetic spectrum. [easybakejake] figured out a way to fuse together an iPod speaker dock and a wireless Chromecast receiver. His method utilized a modified HDMI-to-VGA adapter. From the looks of it, apps like music for Google Play, Pandora, and Music All Access seem to able to be streamed through this device. Regular paper business cards are boring. They are flimsy and easily forgettable for the most part, and when stacked together or thrown in a pile, it’s hard to locate a specific one; like trying to find a needle in a haystack. Plastic cards aren’t much better either because they still fall into that ‘who cares’ category. But plexiglas business cards with laser cut etchings beautifully lit up by an LED?! Yes please. The design was developed by Romanian engraving company called Gravez Dotro who fixed the problem of simply glancing at a business card, putting it in a wallet, and causally forgetting about it later, never to contact the person that gave it out. If someone hands away one of these though, the receiver is definitely going to remember it. The solution isn’t that high-tech and just about anyone with access to a laser cutter can make their own. It will be interesting to see what people come up with. If you feel like creating one, be sure to send us pictures. We would love to see them. Video of the design comes up after the break.